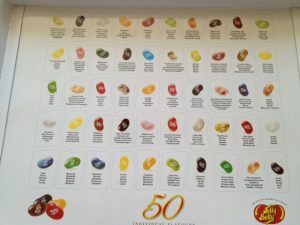 I am have quite a sweet tooth so when I was sent through a huge box of Jelly Belly Jelly beans containing 50 different flavours, I thought Christmas had come early. 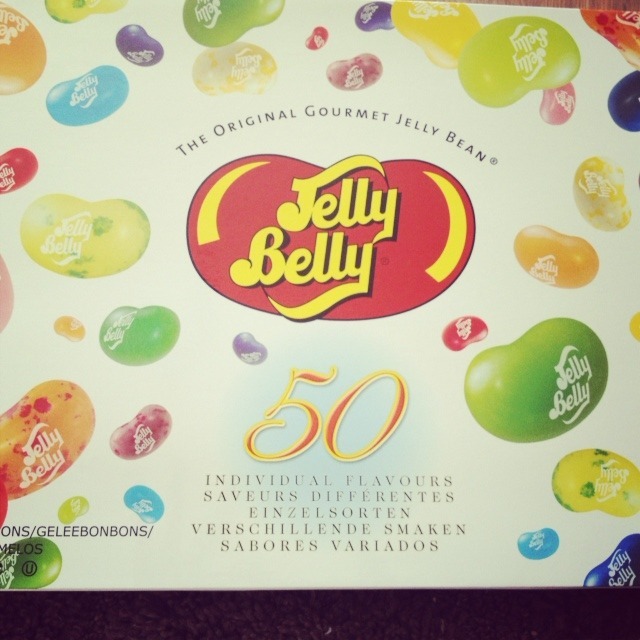 I have loved Jelly Belly Jelly Beans since I was a teenager, I remember getting a battery operated dispenser which was the Jelly Belly mascot and threw the bean from one hand to another, I got this for my 18th so I have been a fan for a very long time. They were a little harder to come by back then. 50 flavours is incredible, my favourites being buttered popcorn, island punch and cherry just to name a few. Also the cinnamon ones, candy floss, green apple, pear, I could go on and on. There are a few I don’t like the root beer ones, chocolate and cappuccino ones. These ones I leave for someone else. The rest are all mine. There are some little recipe books that allow you to make different flavours by eating more than one at a time, these are a lot of fun. They look bright, colourful and delicious when you open the box. Look at all those gorgeous mouth watering flavours. I was also lucky enough to be sent a Jelly Belly scented iPhone cover for my mobile through. 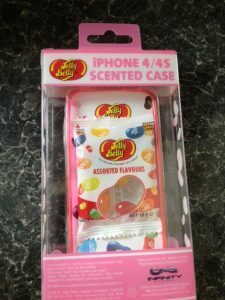 this is a bubblegum scented phone cover. I’ve used it for over 2 months now and it still has a strong smell, but not too strong that it’s over powering. 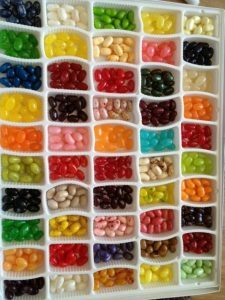 It too comes with a small bag of Jelly Belly’s to get you started. The phone cover is a gorgeous pink one and looks great. Both of these products get huge thumbs up from me and are perfect for any Jelly Belly fans like myself or someone who isn’t keen on chocolate but loves sweets. They taste fab and are something a little bit different. I LOVE Jelly Belly’s.